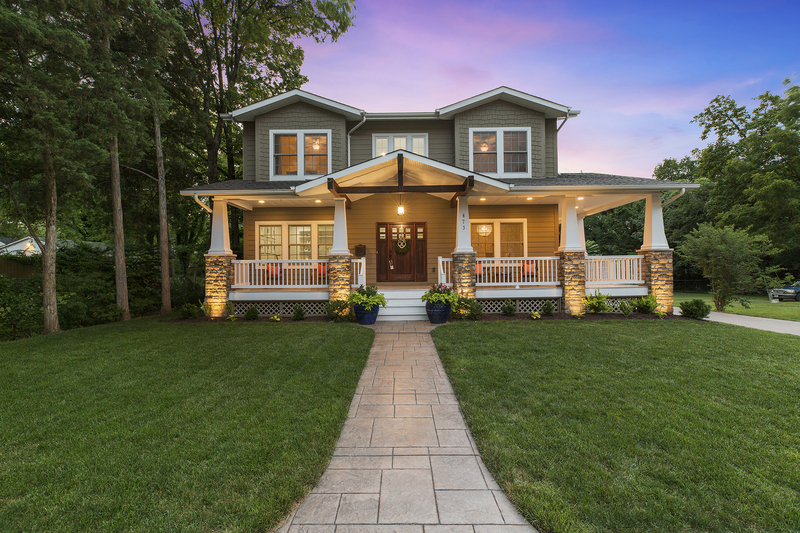 Some houses give a whole new meaning to “home sweet home.” Here’s your chance to snag an inside look at some of the coolest features we’ve seen in the homes of our John Jackson Neighborhood Real Estate clients. These are some stellar spaces for pursuing a favorite hobby, entertaining guests and pampering best friends (both the two- and four-legged variety). Peruse these photos for some fun inspiration, or just a sneak peek at the customization going on next door. Let the dreaming – and drooling – begin! Did someone say pool party? Between the pristine water, outdoor living area and firepit, this backyard oasis offers year-round enjoyment for these homeowners and anyone lucky enough to make the guest list. Talk about stepping up the slumber party game! 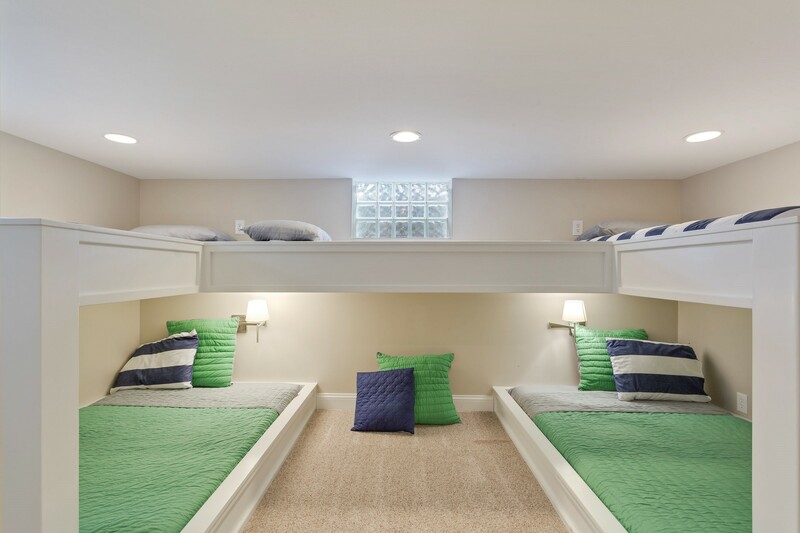 This basement bunk room with custom built-ins (courtesy of our talented friends at Winkler Renovations) and stylish bedding looks good while also comfortably accommodating an additional five houseguests. A clever use of the oft-wasted space beneath a staircase, this adorable indoor playhouse features real wood siding, a Dutch door and a working “exterior” light. Truly magical for kids of all ages! Both the avid and budding baker would love, love, love to get creative in this kitchen. 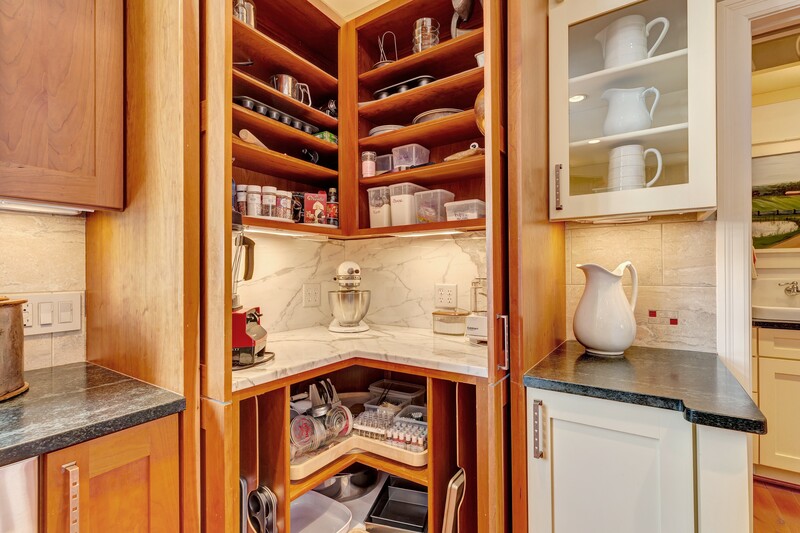 Tucked in a corner and disguised behind pocket doors, a tidy baking station offers a marble work surface for rolling dough with everything in arm’s reach thanks to custom storage overhead and below. Here, shelves, slots and lazy Susans house – and hide – bakeware, appliances, tools of the trade and even a pretty assortment of sprinkles in the most organized fashion. Absolutely scrumptious! The stuff dreams are made of … a backyard ice rink has the family of our very own John Jackson – and a whole lot of their friends, no doubt – welcoming winter temps and fine-tuning their skating and hockey skills all season long. 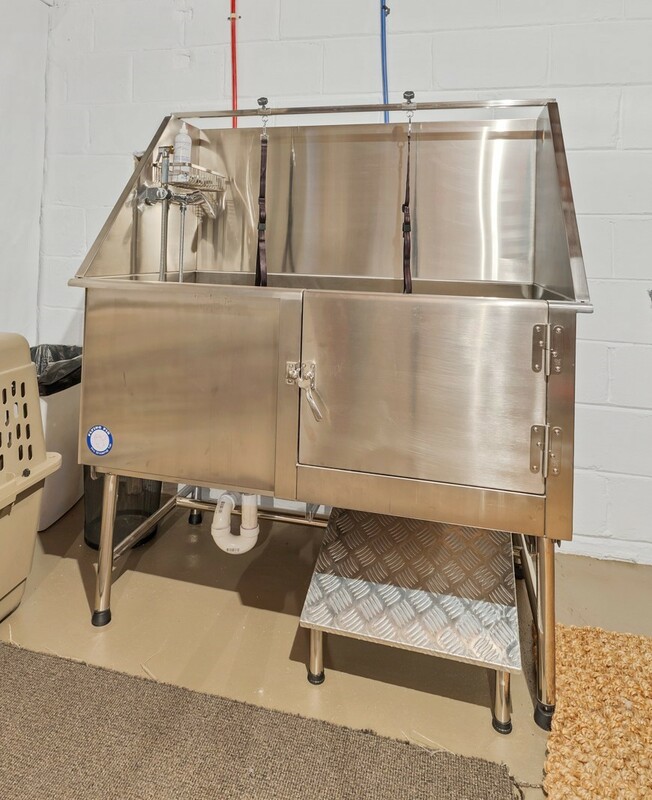 An at-home dog wash station, a stunning sight in stainless steel, makes light work of a usually messy and labor-intensive task. The homeowners love the fact that there’s no awkward bending involved, and you can bet the pups love it too!